Want to locate all your friends with smart phones (ipad, ipod, iphone, android, blackberry) but you don’t have one? The latest technology from GTX Corp allows you to do just that – www.gpstrackingapps.com high-tech website enables you to locate your family, friends and coworkers (who have downloaded the GPS Tracking App) instantly, in real time, even if you don’t have a smart phone. www.gpstrackingapps.com and www.locimobile.com are proud members of the GTX Corp (OTCBB: GTXO.OB) family of products and services. Not too long ago, Real-Time GPS Tracking was a gimmick in science fiction movies. Not any more! 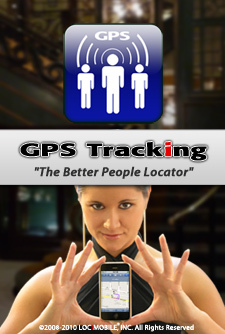 LOCiMOBILE introduces real-time GPS Tracking for Android and GPS Tracking for iPhone & Android. Both the apps can be found in the Android market. Search for GTX and both apps will show up or search for GPS Tracking or Tracking.